Daniel Qualls is a partner in the San Francisco office of Lewis Brisbois and a member of the Labor & Employment Practice. 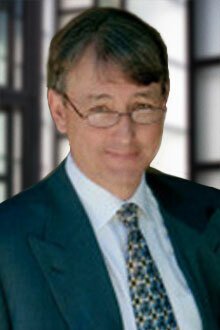 He is an experienced trial lawyer with 50 plus trials and arbitrations. Before switching to represent the interests of employers, Mr. Qualls was a prominent plaintiffs’ counsel and trial attorney. Trial verdicts obtained include a $12 million plaintiff’s verdict for general and punitive damages against a title insurer for fraud and bad faith following a six-week jury trial; a $1.2 million plaintiff’s verdict for general and punitive damages against the granddaughter of William Randolph Hearst for wrongful termination and sexual harassment following an eight-week three phase jury trial; and a $2.4 million plaintiff’s verdict against a global infrastructure services firm for breach of contract following a four-week jury trial. Mr. Qualls’s practice focuses on California wage and hour and consumer class actions, and California Labor Code Private Attorney General Act of 2004 qui tam proceedings/executive compensation cases. Mr. Qualls has provided employment law counseling and litigation support to senior executives, and privately owned and publicly traded companies, in state and federal courts. Mr. Qualls has procured arbitration awards and mediation settlements on behalf of senior executives against corporate and private equity fund employers, and has negotiated employment and severance agreements for senior executives of marquee Silicon Valley companies, addressing stock option grants, good cause termination and accelerate option vesting, change of control, double trigger, and confidential trade secret employment provisions.